In December, 2012, the OIG reviewed and frowned upon two proposed scenarios, each of which had the effect of shifting to ASC-owner/surgeons a portion of the fees earned from anesthesia services. The OIG has done it again! In 2012, the OIG reviewed two scenarios. The first (Scenario A) involved a management contract between the anesthesia practice and the centers it serves. The management contract would require the centers to provide certain services, like pre op nursing assessment, space for the anesthesiologists and their staff, and help transferring billing documentation to the billing office of the anesthesiologists. Compensation to the centers for the management services would consist of a per-patient fee, set at fair market value, and there would be no such fee applicable to patients whose care is compensated by any state or federal healthcare program. Scenario B involved the establishment of a separate company for each center serviced by the anesthesiologists, a more typical “Company Model” approach. These separate companies (“Subsidiaries”) would be owned by the physician/surgeon investors in each center or by each center itself. The Subsidiaries would exclusively provide and bill for anesthesia and related services. In turn, the anesthesiologists would receive a contract from each Subsidiary for the anesthesia related services. The profit to each Subsidiary would be the difference between what the Subsidiary received for “providing” anesthesia services versus what the Subsidiary paid to the anesthesiologists. The psychiatry group would pay to the anesthesia group a fixed per diem fee which the anesthesiology group asserted was below fair market value and is also less than what the anesthesia practice would receive if it billed for the services it performed for the psychiatry practice. The OIG frowned on the proposal, stating that it could violate the federal Anti Kickback Statute (AKS), and further (1) even the opportunity to generate a fee (giving the anesthesia group the ability to bill for their services) could violate the AKS; and (2) in essence, the psychiatry group would be profiting from the services of the anesthesiologists. The OIG frowned on the fee arrangement specifically because the aggregate compensation was not “set in advance,” nor was consistent with “fair market value,” as specified in the Personal Services and Management Contracts Safe Harbor. The OIG stated most succinctly that the psychiatry group may not “do indirectly what it cannot do directly”—receive compensation (a portion of the anesthesiologists’ fees) in exchange for the patients referred (the psychiatry practice’s ECT patients). The OIG’s primary focus in analyzing all three Scenarios was the federal Anti Kickback Statute (42 USC 1128A(a)(7)) (the “AKS”) and the regulatory exceptions to the AKS, the so-called Safe Harbors (42 CFR 1001.952). The AKS makes it a criminal offense to, in essence, pay or receive anything of value in exchange for referral of a patient whose care is compensated by any state or federal healthcare program (“Governmental Patients”). The AKS has been interpreted so broadly that if even one purpose of the arrangement between two parties is to pay for patients, the AKS is violated. See United States v. Greber, 760 F.2d 68 (3d Cir. 1985). Given the enormous breadth of the AKS, the Safe Harbors describe permissible arrangements, though not all of them, that won’t violate the AKS. Most healthcare business people (and many lawyers) would think that if an arrangement excludes any consideration of or payment in connection with patients whose care is compensated by state or federal healthcare programs, the AKS is not an issue. “Since no Medicare, Medicaid, CHAMPUS or TriCare dollars are involved, I don’t have to worry about the AKS.” In this Scenario, management fees are not based in any way on Governmental Patients. And yet, the OIG stated very clearly “The OIG has a long-standing concern about arrangements under which parties ‘carve out’ Federal health care program beneficiaries or business generated by Federal health care programs from otherwise questionable financial arrangements.” [Emphasis added]. The OIG focused in this Scenario on the fact that the party requesting the OIG’s view of the Scenario (the “Requestor”) would be the exclusive provider of all anesthesia services at the centers and concluded that simply carving our Governmental Patients does not reduce the risk that payment for management services might be made to induce referrals of Governmental Patients. Even more telling, the OIG opined that the management fee charged by the Centers would include the very same things for which payers would be compensating in the first place. By being “paid twice for the same services” (once by the payer and again by the anesthesia group in the form of the management fee), the centers would be inappropriately incentivized to select the anesthesia group to provide anesthesia services exclusively to the centers. In short, it seems the OIG viewed the management fee as simply a way for the anesthesiologists to pay the center for patient referrals. This Scenario involved the establishment of a new anesthesia business that would provide services to the centers. These new Subsidiaries would be owned as described above and would replace the prior anesthesia practices that provided the services. 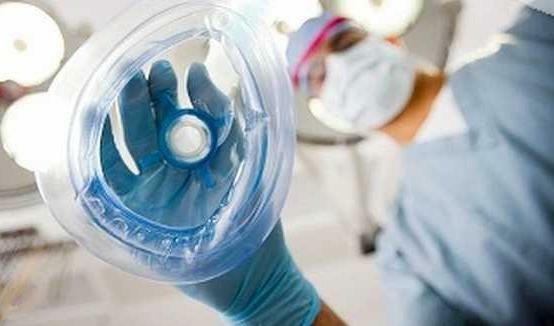 The only difference is that instead of paying out all the anesthesia fees to cover salaries, benefits costs and certain expenses of the anesthesia provider, some would be left over to pay the Subsidiary owners, none of which would be anesthesiologists. The anesthesia provider made $1,000 on a Monday, but on a Tuesday, a Subsidiary, doing the same thing with the same staff, would only pay a portion of it to the anesthesiologists that have always worked there. The rest would be kept by the Subsidiary owners, directly or indirectly all surgeon owners of each center. The OIG questioned whether the Scenario could be warranted under the “ASC Safe Harbor”, but rejected that because the Safe Harbor does not apply to the remuneration to the Subsidiaries that would be distributed to the center physician owners. The ASC Safe Harbor only applies to protect returns on ASC investments and the Subsidiaries do not provide surgical services. The OIG also looked at the employment and personal services Safe Harbors to see if either could fit the Scenario. The OIG agreed that the employment Safe Harbor could apply if there was a bona fide employment relationship involved in the Scenario and also that the personal services Safe Harbor might apply to independent contractors. The trouble, however, was that there is no Safe Harbor protection that applies to the money distributed to the Subsidiary owners. Moreover, the OIG turned to a more conceptual concern: concern over arrangements between those in a position to refer business (e.g. center physician owners) and those furnishing the services to the Governmental Patients (the anesthesiologists). This is of particular concern to the OIG where only one of the parties (the anesthesiologists) produces all or most of the business. The Supplier manages the new line of business and may also supply it with supplies, space, employees, billing, etc. In short, the OIG’s concern when addressing impermissible Contractual Joint Ventures is that this sort of “plug and play” arrangements are really just payment for patient referrals. They involve no meaningful business risk and are simply ways for the Supplier to indirectly pay the Owner for the favor of the Supplier providing services to the Owner’s patients. Applied to Scenario B, the OIG’s concerns are especially clear. Is the profit of a Subsidiary not simply a “thank you” to the surgeon owners for allowing the anesthesia provider to provide anesthesia services to the captive center patients? More directly “[I]t appears that Proposed Arrangement B is designed to permit the Centers’ physician-owners to do indirectly what they cannot do directly….” The OIG’s conclusion would likely have been different if the Subsidiary performed substantial services to earn a profit. The OIG’s most recent treatment of the issues in 13-15 is clearly consistent with their previous determinations. Owners of a surgery center (or a practice) forming a business like the one described in Scenario B, but which has very clear and solid arguments that the arrangement is not simply taking compensation from anesthesiologists in exchange for the right to treat patients referred to them. The complex legal issues and the criminal exposure of the AKS (not to mention the False Claims Act) should not only be concerning to physicians, but also to surgery center and hospital managers and joint venture partners, who are also at risk for AKS and related violations. All parties will have to be very careful in structuring successful business relationships with physicians who provide services at ASCs, hospitals and also on behalf of other practices. Though the Advisory Opinions are limited to the facts presented and do not constitute law, they do serve as a clear window into the minds of the authorities who have the job of enforcing some very serious laws. To date, the OIG has merely opined on the issue and has not reported any prosecution or settlement of a matter involving similar facts. If it does decide to prosecute, the underlying argument that a healthcare business or professional may not make a profit from the services of another healthcare professional to which patients are provided will have serious impact on not only Company Model arrangements, but also on potentially a huge number of other common arrangements between healthcare providers and businesses of many types. Perhaps that explains why there has been no enforcement on the issue to date. This entry was posted in Advisory Opinions, Anti Kickback, Compliance Plans, False Claims Act, Fee Splitting, OIG Investigations, OIG Studies, Patient Brokering Act, Physician Issues, Surgery Centers and tagged anesthesiologists, Anti Kickback Statute, “Company Model” arrangements, False Claims Act, fee splitting arrangements, OIG Advisory Opinion (13-15), OIG opinion, Physician Owned. Bookmark the permalink. ← AHCA Alert – File Now!